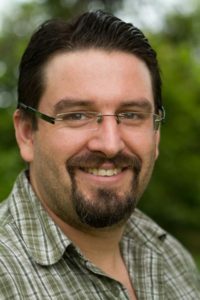 Gabriel Asselin is a cultural and linguistic anthropologist with a strong interest in cross-disciplinary collaboration. His previous work focused on discourse, mobility, communication, and community experience with families living as linguistic minorities. More recently, Gabriel has become involved in health research where he has developed the conviction that bringing an anthropological perspective and methodology to health research teams is of great interest for both health and social scientists. In health research, Gabriel has collaborated in a project on advance care planning in family medicine before joining the University of Lethbridge’s research team on moral distress in nursing. He is also currently a sessional lecturer and adjunct with the Department of Anthropology. Gabriel Asselin lives in Lethbridge with his spouse and 3 children since August 2015. He is very interested in popular culture and various form of gaming activities.